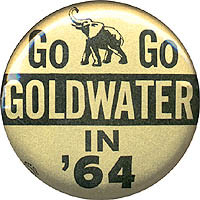 Pinback button promoting Barry Goldwater for president, 1964. A.A.A. Novelty Co., Washington, DC.